Jacob Routh was one of the first Baptist preachers in the area. He preached at Spring Creek Baptist Church, which was on the eastern edge of this property near Plano Road. Spring Creek Baptist Church later moved and became First Baptist Church of Plano. 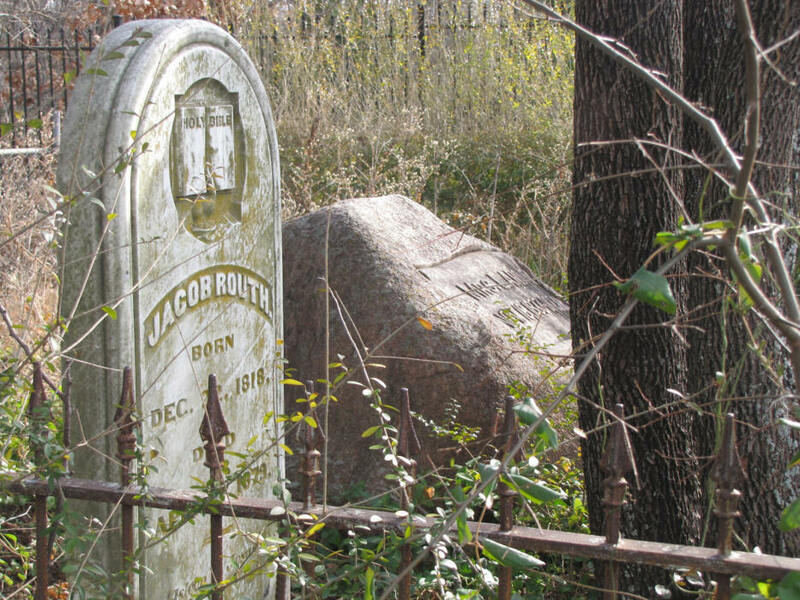 This is a small fenced cemetery for the Jacob Routh family. 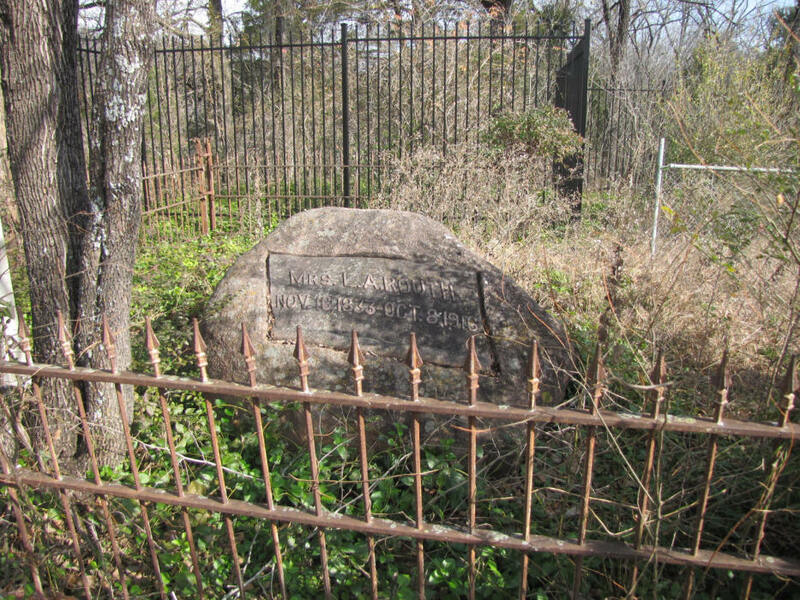 There are 4 graves inside the enclosure: Jacob and his wife, and his 2 unmarried daughters, Rose and Clara. Part of the fence is wrought-iron and part chain-link. There are several large cedar trees on the north end of the cemetery and one inside it. The small markers outside the fence are for pets of Rose and Clara. The cemetery is very overgrown although the stones are standing. The stone for the wife is a piece of iron set in a large boulder. The Routh house was near the railroad tracks on the west. The house burned down soon after Clara died. No deed has been found for this cemetery. Richardson will be building a bike trail along the banks of Spring Creek that will not include the cemetery but will be near it. The rest of the land belongs to Telecom Business Park, a subsidiary of Hunt Petroleum. This land is set for development so the directions to the cemetery may change.